Davido has reportedly reached out to his alleged first baby mama,Ayotomide Labinjo . 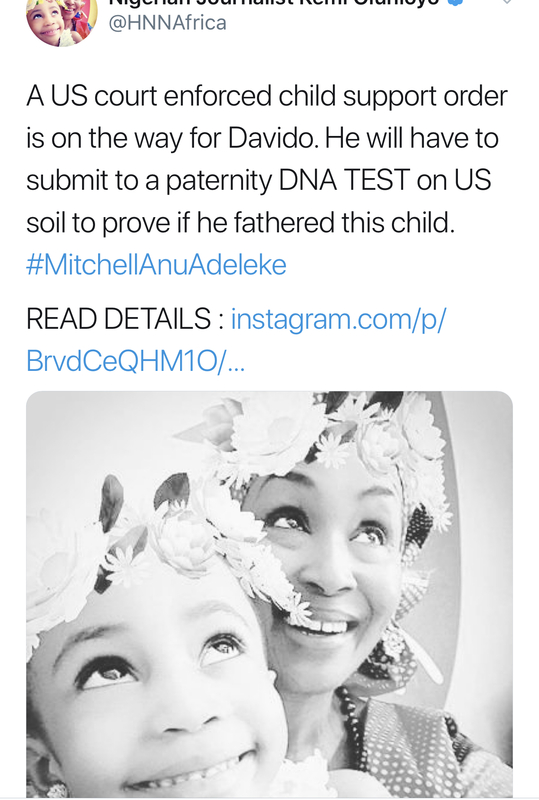 Davido has vehemently denied he fathered a child with her four years ago.However,she insists he is the father of her child and wants an independent DNA test carried out. 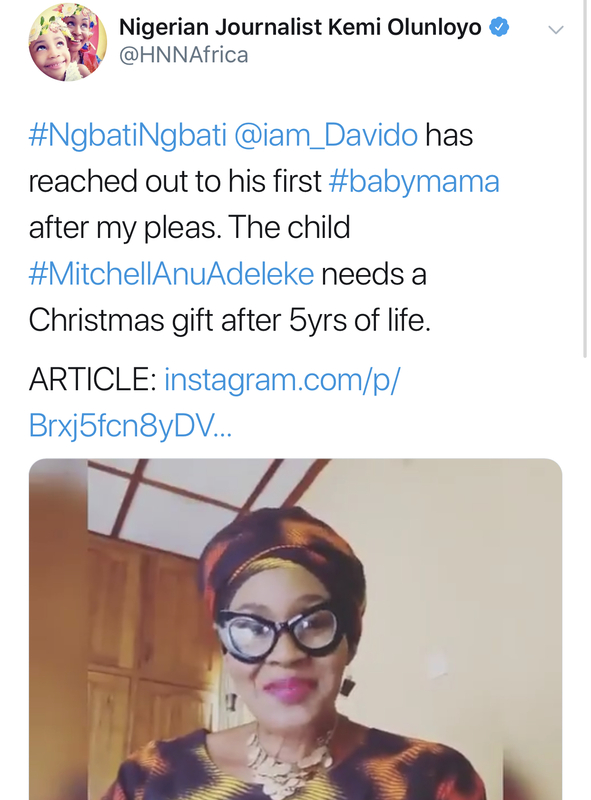 Journalist,Kemi Olunloyo who took up the case and is advocating for Davido to claim Michelle as his first child,shared the news on Twitter . She also asked him to send the daughter a Christmas present .